An erhu is a Chinese two-stringed instrument similar to a fiddle. The erhu has a thin, slightly reedy sound. 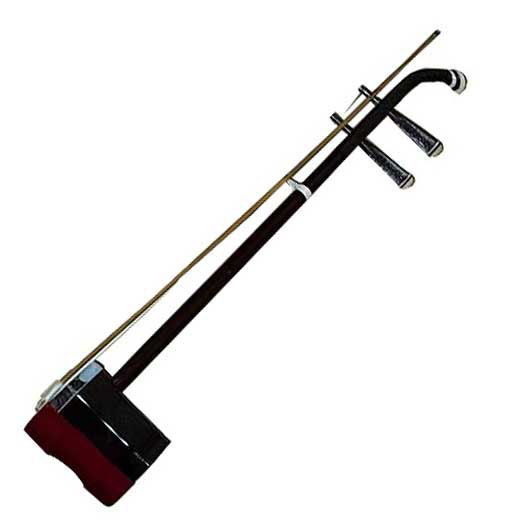 Since the erhu is so widely used, foreigners see it as an example of Chinese music. However, once you recognize the sound of an erhu, it can usually be readily picked out from other musical instruments, because it is unique. The history of the erhu spans more than a thousand years. The first erhu was heard during the Tang Dynasty (618 – 907 AD). Since the traditional Chinese character for “erhu” indicates it has two strings, the erhu has probably changed little over the centuries. Alternate names for the erhu include huqin or hu, and Westerners sometimes call the instrument a “Chinese violin”. This entry was posted on Tuesday, September 25th, 2012 at 06:00 and is filed under China, Chinese arts and music, Chinese Culture, Chinese history, cultural differences, history. You can follow any responses to this entry through the RSS 2.0 feed. You can leave a response, or trackback from your own site.